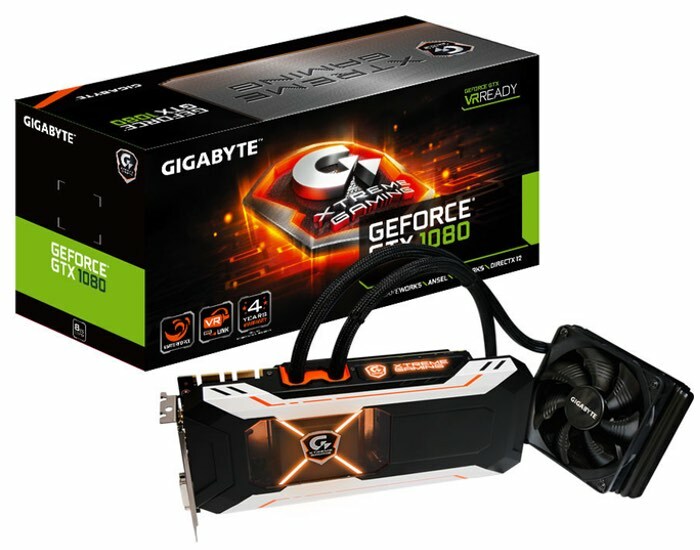 Anyone interested in upgrading their graphics card or building a PC system might be interested in a new graphics card that has been unveiled by Gigabyte this week in the form of the GeForce GTX 1080 Xtreme Gaming, model reference: GV-N1080XTREME. The latest addition to the Gigabyte range of graphics cards provides the same factory overclocked speeds as the air-cooled GTX 1080 Xtreme Gaming card, but offers users a liquid cooling system which takes the form of the latest WaterForce AIO liquid cooling solution. Gigabyte explains a little more about what you can expect from their new liquid cooled graphics card which will soon be available to purchase. Unlike other AIO liquid cooled custom GTX 1080 cards, this one lacks a liquid-air hybrid setup, and relies entirely on the liquid pump-block to cool not just the GPU, but also the memory and VRM. The card is plumbed to a 120 mm x 120 mm radiator with a 120 mm spinner. It features RGB LED lighting along the top logo and an “X” shaped ornament over the pump-block. The card features clock speeds of 1784 MHz core, 1936 MHz GPU Boost, and 10.21 GHz (GDDR5X-effective) memory. It features Xtreme VR Link, a secondary display I/O mode that enables three HDMI 2.0b and one dual-link DVI connector in “VR mode,” and three DisplayPorts 1.4, one HDMI 2.0b, and one dual-link DVI; in “standard mode.” This works through TMDS rerouting, and the additional HDMI ports are put out through internal headers that can either be wired to the rear panel through a bracket, or a front-panel that fits into a 5.25-inch bay. The card is backed by a 4-year warranty. Unfortunately no information on pricing or worldwide availability has been released as yet by Gigabyte, but as soon as more information comes to light we will keep you updated as always.